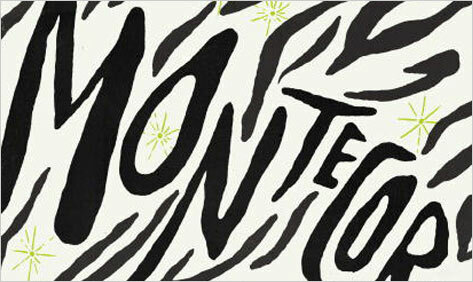 To those whose experience of Swedishfiction has been as bleak as Nordic winter, Montecore arrives as a sunny revelation. Anexuberant account of a son’s effort to imagine his vanished father, the novelin fact challenges assumptions about Swedish identity during a time when theface of Scandinavia grows darker. Abbas, the absent figure at the center of thestory, is, like author Jonas Hassen Khemiri’s own father, a tawny immigrant toStockholm from Tunisia. The novel is set into motion by an extravagantlymalapropian email sent from Tunisia by a man who calls himself Kadir and claimsto be Abbas’s best friend. Kadir writes to Abbas’s son, who, like the author ofMontecore, is a novelist named JonasKhemiri, with a proposal that they collaborate on a book about Abbas. Jonas hasbeen out of touch with his father for eight years, but Kadir, who grew up withAbbas in a Tunisian orphanage, proposes that he and Jonas pool their memories. “Letus collide our clever heads in the ambition of creating a biography worthy ofyour prominent father!” he exclaims in the magnificently fractured Swedishthat spices the entire narrative. They will compile an account of an exuberant,penniless Tunisian who falls in love with a visiting flight attendant. Aided bya loan from Kadir, Abbas follows her to Stockholm, where they marry and raise afamily. Unsuccessful at assimilating into Swedish society and earning a livingas a photographer, he disappears. What is most remarkable about this rollicking tale offailure is its use of creolized language, a mishmash of Arabic, French, andSwedish that Abbas speaks and his son calls Khemirish: “A language that isall languages combined, a language that is extra everything with changes inmeaning and strangewords puttogether, special rules and daily exceptions.”It is the medium of the macaronic messages that Kadir, who has spent one yearin Sweden, sends to Jonas and that Jonas appropriates for their biography ofAbbas. Jonas tutors both Kadir and his father in Swedish, but, cutting himselfon an old saw, Kadir asks “how difficult is it not to teach an antique dognew techniques?” Yet, with astounding solecisms worthy of Alex, the madcapUkrainian guide in Jonathan Safran Foer’s EverythingIs Illuminated and Vladimir Nabokov’s linguisticallyflustered Pnin, the old dog has a comical bite. Khemirish is a droll medium forexploring split personalities and fragmented cultures. Just as Khemiri’s Sweden is a battleground for competingvisions of national identity, the text of Montecoreis the outcome of a bitter conflict between Jonas and Kadir to seize command ofthe story. Kadir, who even inserts contrapuntal footnotes, carps at how Jonasrenders Abbas’s life. “You lack adequate talent,” he complains. “Youare a miserable make-believe author. You are a PARASITE who has exploited yourfather in order to shape a FALSE story. You are a disappointment.” But itis Jonas who signs off on the book, avenging himself on his antagonist’sattacks by exaggerating Kadir’s gaffes. To the extent that Kadir’s veryexistence is moot, Montecore enacts apsychomachia, a struggle for control of Jonas’s soul. Translator Rachel Willson-Broyles has succeeded admirablyin devising a form of rotten English, a scrawny pidgin that flies as high asKhemirish. Jonas prefaces the lessons he gives Abbas and Kadir in his nativelanguage by arguing: “In order to understand the Swedes and their humorand their bizarre manner of discussing the weather and nodding forth theirrefusal we must understand Swedish.” Khemiri’s playful Swedish shinesthrough Willson-Broyles’s gaudily piebald English. Khemiri’s only other novel, One Eye Red (2004), remains unEnglished,and the astonishing international success of Stieg Larsson might account forthe fact that Montecore is only now,five years after its debut, available in English. Though Khemiri sharesnationality with the late master of murder mysteries, the only crime here isthe delay in introducing a major talent to American readers. Steven G. Kellman is a professor of comparative literature at University of Texas at San Antonio, where he has taught since 1976. His most recent book is Redemption: The Life of Henry Roth (2005).